Michelle Karina Kyle is an animal reiki teacher residing in rural Ontario, Canada. She completed Shinpiden (level 3 teacher training) with Kathleen Prasad of Animal Reiki Source in 2014, and then completed Shinpiden training in traditional Japanese reiki with Frans Stiene of the International House of Reiki in 2017 and again in 2019. She has been teaching animal reiki since 2014. Purr Healing is a sole proprietorship registered with the provincial government in Ontario, Canada. You can find us at www.purrhealing.ca and www.facebook.com/purrhealing/. Purr Healing is located in North Perth, Ontario, Canada, and holds classes at animal rescues in various Ontario locations, including Princeton, Barrie, and Kincardine. 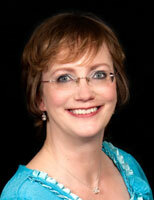 Michelle is a member of the Shibumi International Reiki Association and the Canadian Reiki Association.